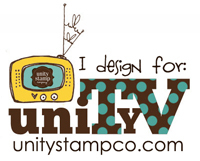 Danielle Daws: The Alley Way Stamps August Blog Hop! (you can pick and choose which ones you want to do.. but the more you comment the better chance you have to win) You have until July 31st to leave comments. And here's my card. I've used Admit One to make my card for today's hop, and I'm so thrilled with how it turned out! I used Bazzill Card Shoppe cardstock for the tickets, and I used a Canary Yellow Prismacolor Pencil to colour the stars. The line down the side of each ticket is my favourite though, that's just using a Versamark Pen! I love how it gives the perfect slightly darker shade of each colour, and there's no extra fussy cutting! Gotta love that! I hope you've enjoyed my stop on the hop! The next stop on the hop is Jingle! I'm also entering the Simon Says Anything Goes challenge. Such a cheerful card with those bright tickets!! LOVE your CAS card!! Love the bright and fun colors you used!! DEFINITELY need to dig out my versapen! Great! This is a great card! You could use it for a boy or a girl. It would be great for a teenager. simply amazing love the fun colors!!! i'm so intrigued with the versamark pen!!!! i may have to pick one up! lol! your card is wonderful! I really like the ticket image. Great card. Super FUN card!! Love all of the colorful tickets! Great card! 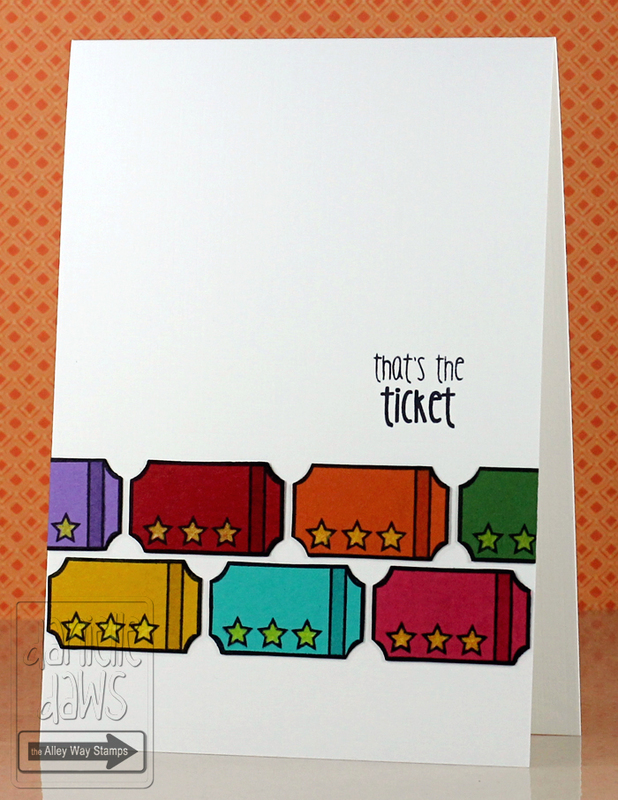 I simply ADORE white space cards, and yours is SO colorful and FUN! Thanks for sharing! Love those bold, colorful tickets!!!!! So CAS and love these colors! What fun! Love tickets, and yours are fabulously cute...so colorful! Ahhhh...great card! Love the colorful and 'simple' design...just perfect! Great card. I just love the CAS style of it. Those tickets are so fun. I love your card. Clean and simple, but really packs a punch. Good job. 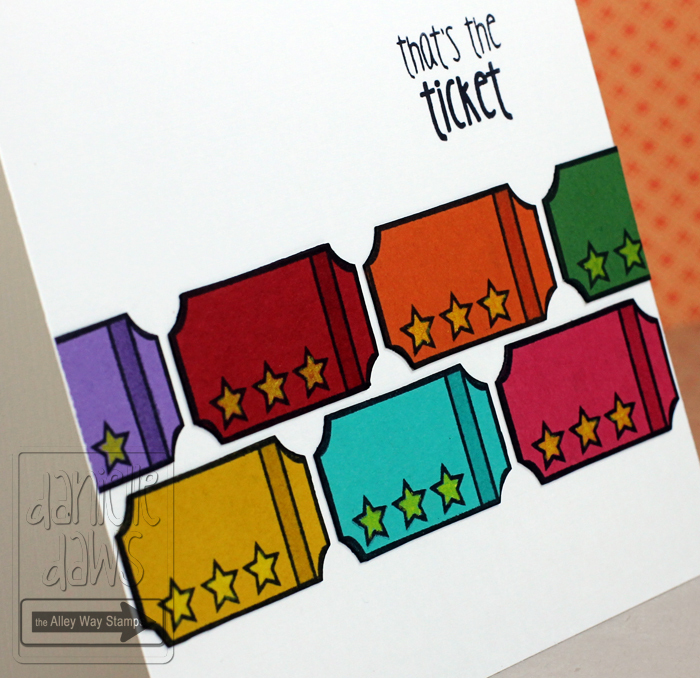 Great card and ticket stamp!! I'm going to use that versamark pen idea! So clever you are! Love this! So colorful and fun! I love the colours of this card, and the clean and simple design! I love the simplicity and brightness of this card! Well done! 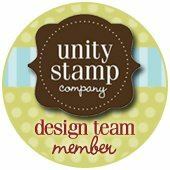 I just love this ticket stamp! And your colors are so happy and bright! Love your CAS card; how pretty! I love the CAS look to cards and this card pulls it off beautifully. Thanks for sharing your idea with the versamark pen. Love the simplicity and all the bright colors! The bright colors are wonderful!! So simple yet oh so cute! I love your Clean and Simple style. Thanks for the tip on the versamark pen - great idea and it looks perfect! Darling card - thanks for the inspiration and a chance to win! Oh wow...the color in your card is just awesome! The colors are SO opaque & mix very well together! Beautiful!! Thanks for the chance to come over and win! What a great card! I'm saving this one to Pinterest so I can remember how you did this! Excellent color choices. They manage to work together and yet pop on their own. Love this colorful CAS card! Great use of colour and fun CAS design! Love it Danielle!